So, I wasn't over yet with Christmas 2013. When I think of it, it is already last year's story! How time flies I'm feeling a little bit scared here lol. Anyway, although Christmas already over, but not for the spirit of giving. 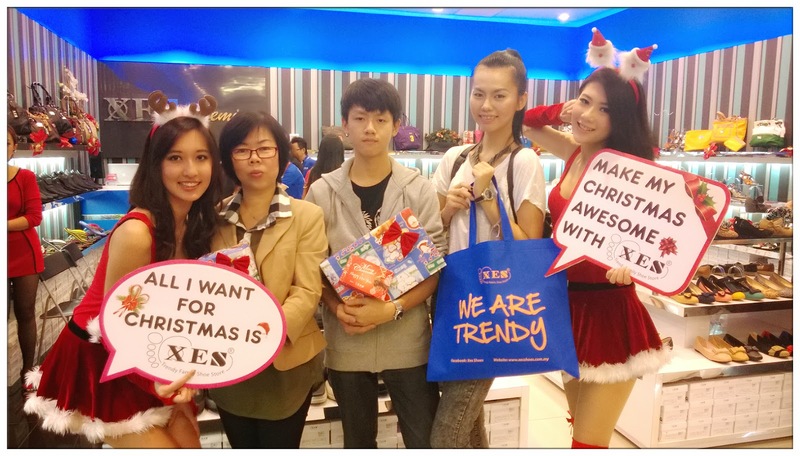 Thanks to Sabrina's invitation, I went to XES Christmas Party which was held at XES Premium Store at KL Festival City Mall. 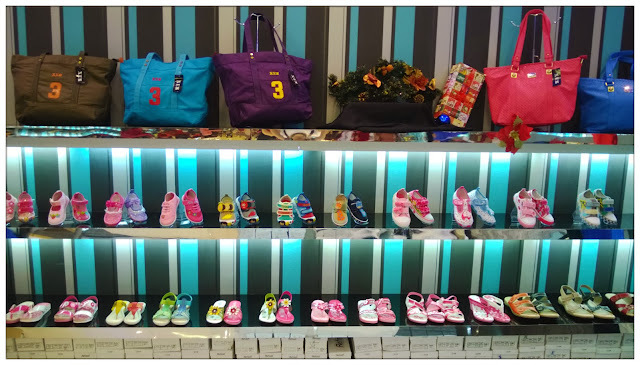 So while waiting for all the guests to arrive, I roam around the shop and took a look of what XES have to offer when it comes to shoes. 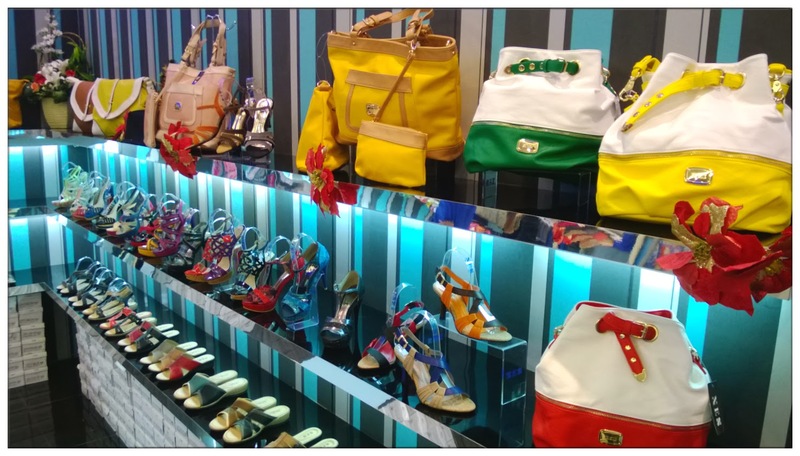 It kinda amazed me that they cater for everyone's needs, from teenagers to ladies office wear to men leather shoes and also different design of bags for different occasions. And kids wear as well! The party is so free and easy that we spend most of the time chit-chatting and eating, catching up a bit for what's happening in the blogosphere and also discussing the good-looking shoes and bags around. Bumped into few bloggers, had a great time catching up with them as well. Sabrina giving a short introduction for the event. She's stunningly pretty that day! 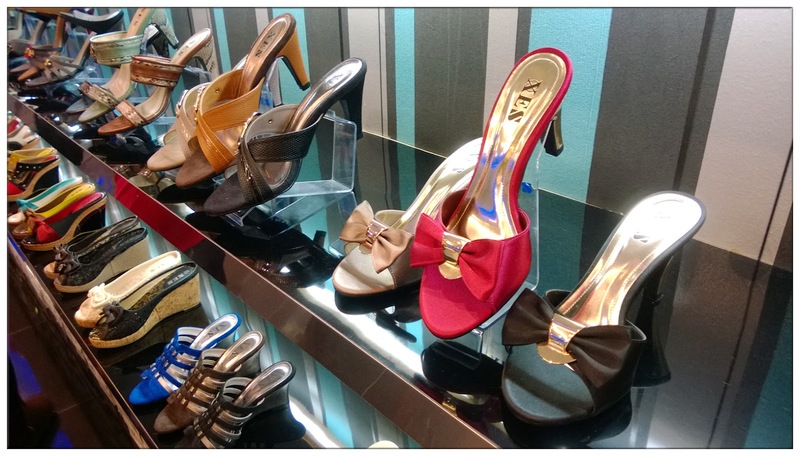 XES which provides comfortable shoe wear and wide ranged of designs has been the name that we heard of often. Most people I know bought XES shoes before, they are affordable and also quality assured. 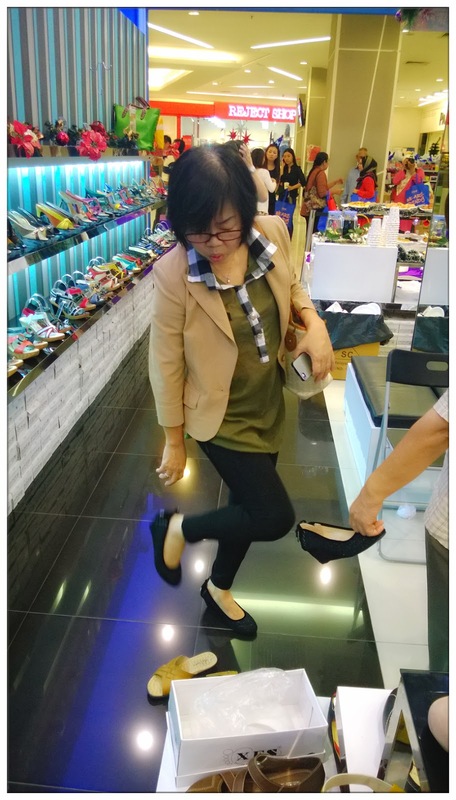 That's why I asked my mum and lil brother to come to the shop and choose a pair of shoes for themselves, after all, it is the season of giving, right? 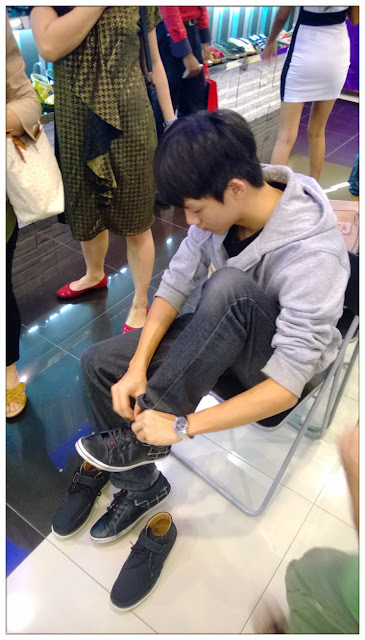 This young lad found the right shoe for himself! I bet you didn't know that XES Shoes were awarded numerous of awards for the past years. 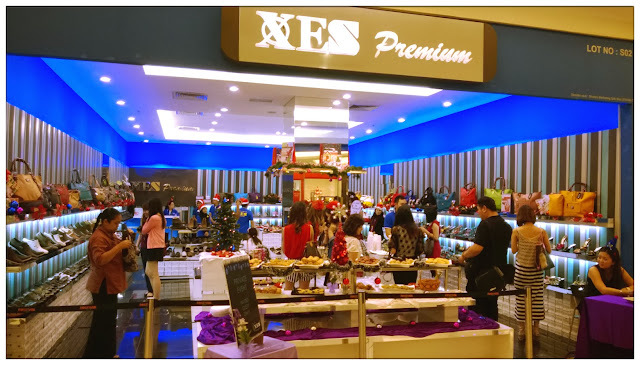 Founded in year 2002, XES are now widely available in major shopping malls and retail complexes throughout Malaysia. They truly cared about what their customers want and practices good business practice, I can feel that they have a bunch of sincere shop keepers while they attend to each and every needs of my mum and brother while they are choosing and trying on their shoes. Gotta thanks Sabrina for inviting me to this party, for me and my family to get to know more about XES Shoes, and discover their perfect and affordable footwear for family everyday use. 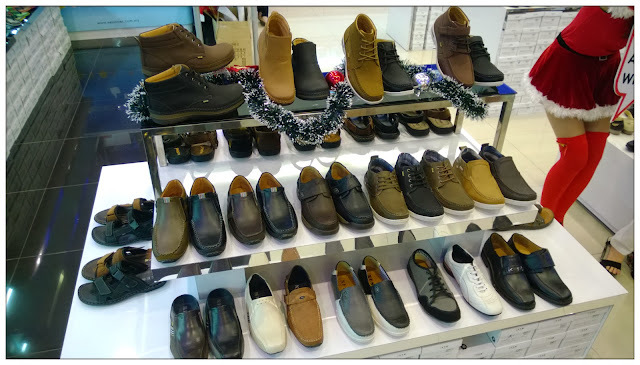 When it comes to style and money factor, XES Shoes definitely can satisfy their customers in these two major factors. Thank you once again to XES Shoes for such wonderful Christmas gift to my family. What can be more happier than receiving a pair of footwear of your own choice on Christmas, right? 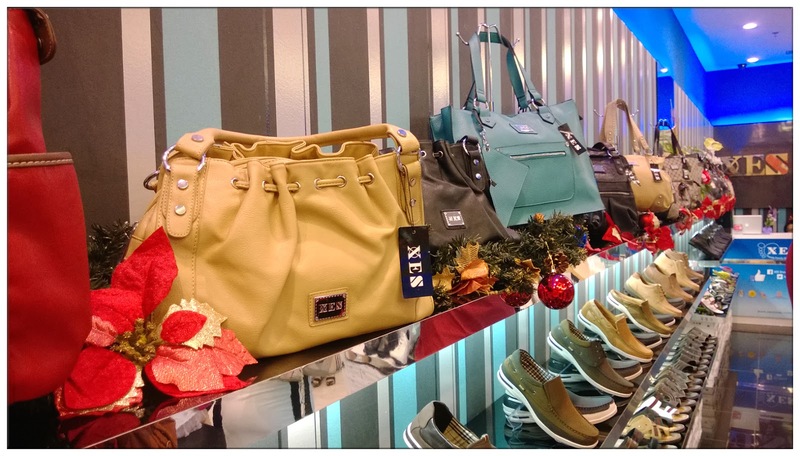 Awesome Christmas with XES Shoes indeed!